A coordinated approach by the funders that make up cOAlition S is seen by OASPA as a core strength of Plan S. Many stakeholders, such as funders, institutions, researchers and publishers, have felt the uptake of open access has been too slow and have been looking for a way to speed up the transition to a world where open access is the predominant model. So a collaborative approach by funders is a move that could indeed prove to be a catalyst. In a more practical sense, compliance with policies will be much easier for publishers and researchers alike if funders are aligned as much as possible, both in Europe and globally. The announcements around Plan S, in particular with respect to the implementation guidelines, have understandably led to an array of statements from the stakeholders involved in all stages of the research publishing lifecycle. This widespread response reflects the complexity of the publishing ecosystem, the sometimes conflicting priorities of different stakeholders, and the way that publishing is deeply entwined with the research enterprise itself. One such issue that OASPA sees currently as a significant barrier to the uptake of open access, and to other innovations in scholarly communication, is that the present system for evaluating researchers is most often based on which journals they publish in. Many research institutions have pledged their support for change by signing the San Francisco Declaration on Research Assessment (DORA) and, more importantly, some are now leading the way by putting this pledge into practice. It is therefore both welcome and essential that Plan S also is encouraging reform in research evaluation practices, as applied to recruitment, tenure and promotion, and grant awards. It is imperative that other funders join this effort and that funders work closely with institutions if such reform is to be implemented on a global scale. OASPA’s main concern relating to Plan S, however, is that discussions and solutions continue to be focussed on the largest, mixed-model publishers. While it is this segment of the market on which funders’ attention – and spend – is concentrated, the vast majority of publishers within the so-called ‘Long Tail’ (the majority of OASPA’s members) appear to be absent from the focus of Plan S. Many of these publishers are too small to negotiate the kind of ‘transformative’ national Big Deals we are seeing for the largest publishers, while exclusively open access publishers without legacy subscription businesses are also unable to participate. Many are not even of sufficient size to make agreements directly with institutions. For a healthy, competitive market in the longer term, the needs of fully open access publishers must not be overlooked at this critical stage. Smaller publishers, learned societies and innovative new platforms will be at a significant disadvantage unless they are properly considered and steps are taken to ensure they are able to compete fairly in the market. Conducting discussions with smaller publishers, both fully OA and those with mixed models, and sharing the outcomes and ideas that arise could therefore be enormously helpful. By working with stakeholders during this feedback phase, cOAlition S can set clear and achievable goals for the timeframe. These goals need to ensure that there is the widest possible choice of publishing options on offer to researchers. Furthermore, in relation to APC business models, specifics such as the requirement for waiver policies, warrant deeper discussion: OASPA fully agrees that APCs should never present a barrier to publication, but there is a variety of approaches for addressing this issue by publishers at present. We recognise also that the focus of Plan S is on journal articles and that outlining a policy for open access books will take more time, but we encourage cOAlition S to engage with the open access book community to begin the development of an implementation plan for OA books, which is of particular importance in the arts, humanities and social sciences. Another key area for cOAlition S to consider and consult with stakeholders on is in making funds available for non-APC models, again of particular importance in the arts, humanities and social sciences. APCs are by no means the only route to open access and a system for identifying and supporting other business models should be developed as Plan S takes shape. The implementation guidelines do reference support for ‘a diversity of models and non-APC based outlets’ and clarity is welcomed on how that support is to be provided. A healthy ecosystem will require emphasis on promoting the development of new business models in all disciplines. 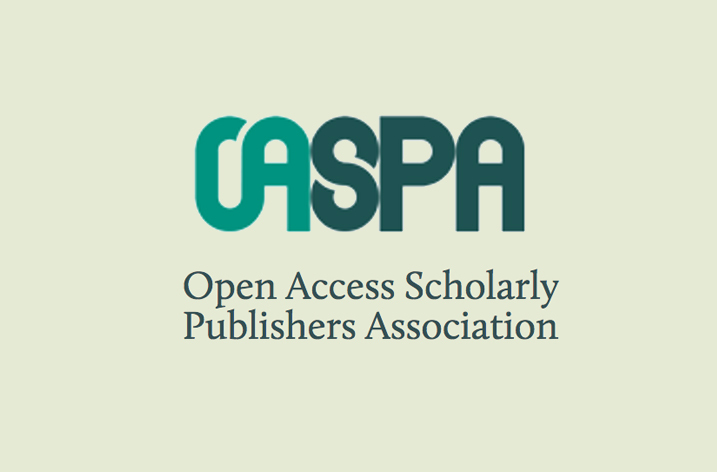 At OASPA we were pleased to see that the cOAlition S funders are keen to support the infrastructure around open access publishing in line with their vision. One such emerging project is the ‘OA Switchboard’ which we believe to be the kind of infrastructure solution that could help to level the playing field for publishers, aid monitoring for compliance and greatly ease the growing burden on institutions of managing OA publication and APCs for their researchers. Led by a multi-stakeholder group and using open source software, the OA Switchboard is envisaged as being a community-devised piece of infrastructure with enormous potential to streamline the communications relating to open access articles and, importantly, to allow even the smallest publishers a simple way to interact with institutions – something which at present seems increasingly difficult. 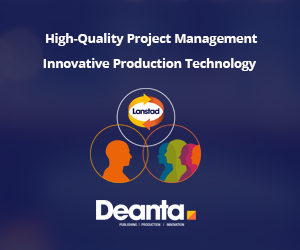 Details of this initiative will be released shortly on the OASPA blog and we will share updates on the project as it develops over the course of 2019.